The 27th annual National Geographic Traveler Photo Contest kicked off April 7 and the contest is accepting entries until June 30th. Official categories include: Travel Portraits; Outdoor Scenes; Sense of Place; and Spontaneous Moments. 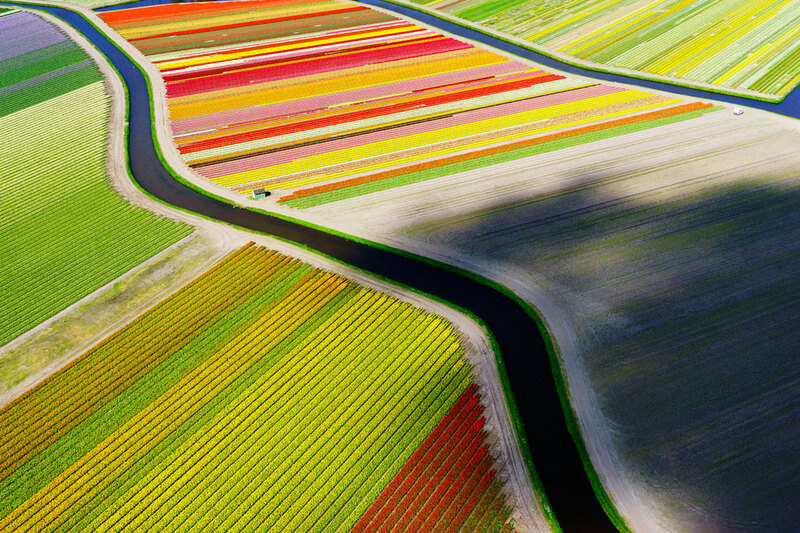 Click here to submit your own photo to the 2015 National Geographic Traveler Photo Contest. 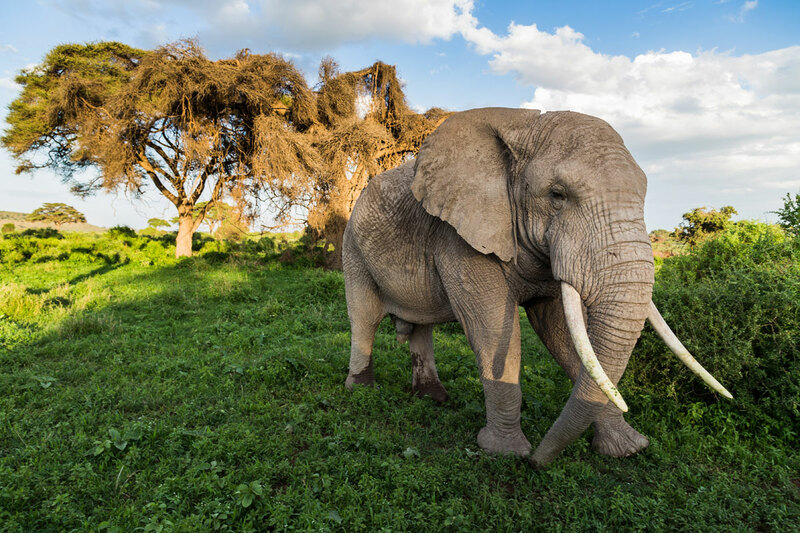 This photo was taken during an afternoon safari in Amboseli National Park, Kenya. This huge male elephant was roaming around some bushes while we approached. However, he passed by as if he did not perceive us and continued feeding from leaves and grass. Such a close encounter was surely breathtaking. 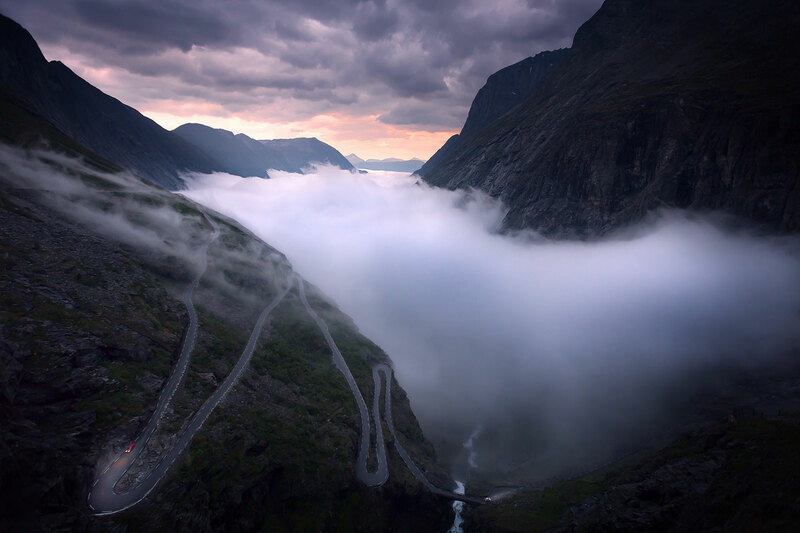 The mountain road, Trollstigen, in western Norway. I was lucky enough to live here for two months during summer and one evening I saw the valley filling with fog, so I drove up the road to watch the late summer midnight sun set as the fog swayed through the valley below. This wave is situated right near the CBD of Sydney. Some describe it as the most dangerous wave in Australia, due to it breaking on barnacle covered rocks only a few feet deep and only ten metres from the cliff face. If you fall off you could find yourself in a life and death situation. 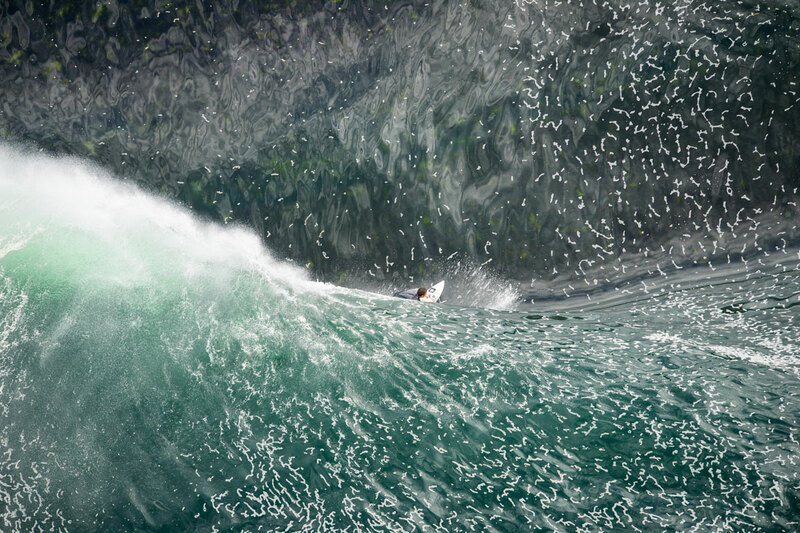 This photo was taken 300 feet directly above the wave from a helicopter, just as the surfer is pulling under the lip of the barrel. Lucky timing! 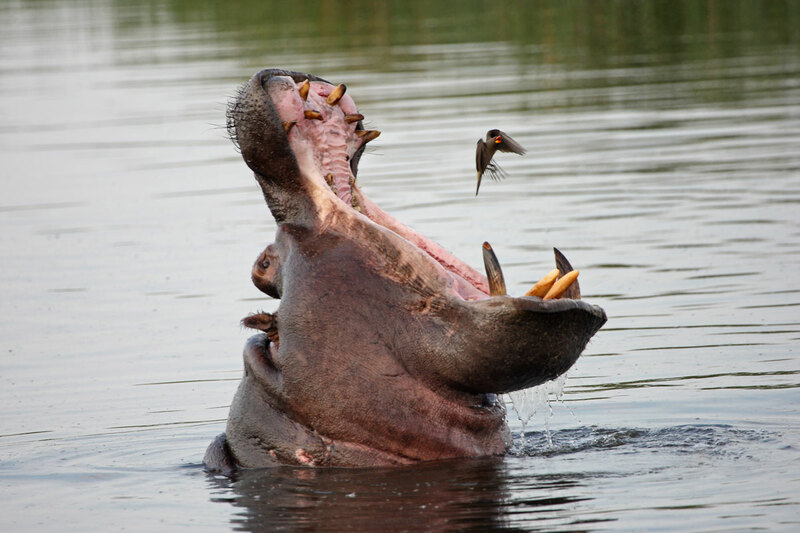 The oxpecker was originally sitting on hippo’s head. I could see the hippo was going into a huge yawn (threat display?) and the oxpecker had to vacate its perch. When I snapped the pic, the oxpecker appeared on the verge of being inhaled and was perfectly positioned between the massive gaping jaws of the hippo. The oxpecker also appears to be screeching in terror and back-pedaling to avoid being a snack! Incredibly beautiful and extremely remote. 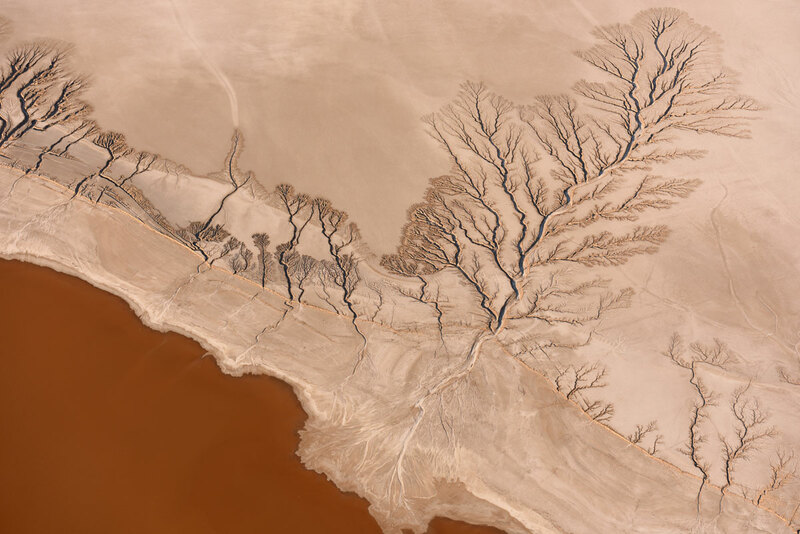 Koehn Lake, Mojave Desert, California. Aerial Image. 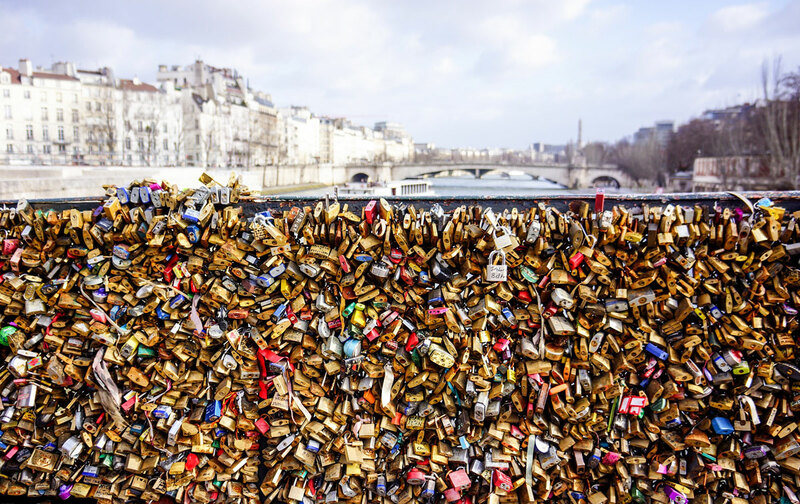 Pond de l’Archeveche – hundreds thousands of padlocks locked to a bridge by random couples, as a symbol of their eternal love. After another iconic Pont des Arts bridge was cleared of the padlocks in 2010 (as a safety measure), people started to place their love symbols on this one. Today both of the bridges are full of love locks again. 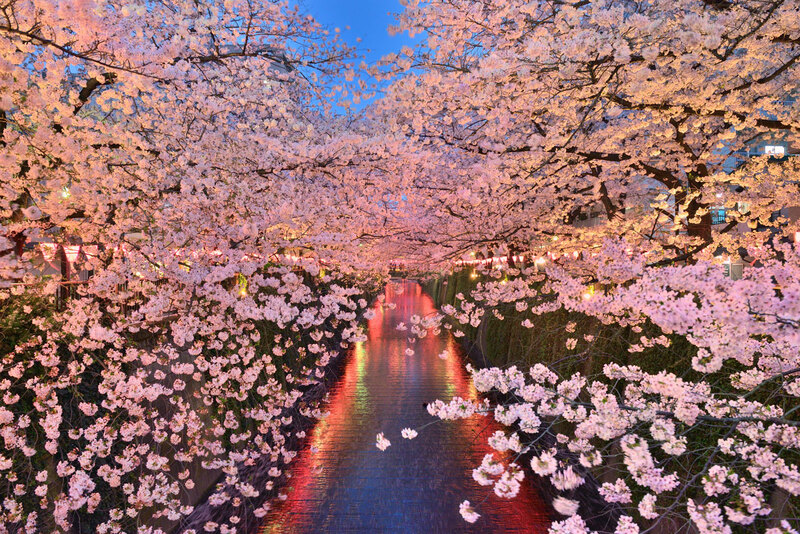 I’m looking forward to seeing “Sakura light-up” at megurogawa river every spring.